#JohnAbraham unveils the peppiest melting romantic track #PaniyonSa from the forthcoming social drama film #SatyamevaJayate! 'Paniyon Sa" is sung by Atif Aslam and Tulsi Kumar. The music is given by Rochak Kohli and lyrics are penned by Kumaar. 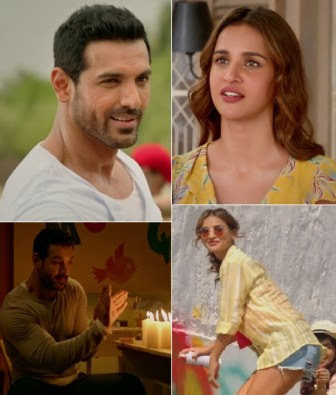 The interesting thing about the song is that it has parts of the story as well; there are dialogues and love story of John and debutante Aisha Sharma. Paniyon Sa, displays a romantic side to a hard-hitting film about injustice. The actor John, who is all set to release a content-heavy movie soon, is seen romancing with Aisha Sharma in the love ballad. This upcoming Satyameva Jayate is written and directed by Milap Milan Zaveri. The movie also features veteran actor Manoj Bajpayee and Amruta Khanvilkar. Satyameva Jayate is set to release on August 15.